Rep. Charles Rangel, U.S. Representative for New York's 13th congressional district, has been a house representative for 43 years, which means he's been elected 11 consecutive times. It’s no secret that America’s current Congress and House of Representatives have been arguably the most impotent, incapable group of representatives in our country's history. Congress and the House are so mired by political nonsense of their own making that they’ve become completely ineffective as a governing body. Look no further than the "fiscal cliff" fiasco of 2013 or the more recent government shutdown of 2014 for glaring examples of this, or the fact that the 112th congress tried to repeal Obama's Health Care Act a staggering 33 times. If at first you don't succeed, try 32 more times, apparently. This November we the people have an opportunity, or more accurately an obligation I would say, to affect real change. The only real way we can actually change anything is to change the players in the game. To remove everyone from office. I hereby recommend Operation:Clean House - Vote Out the Incumbents. You want to send a message to let our current representatives know how unhappy you are with their performance? This is the way to do it. There are currently house representatives that have been in the House for 40+ years. John Dingell, Michigan’s 12th congressional district representative, has served an uninterrupted 58 years! That means he’s been elected 15 times in a row! The top five longest serving representatives have been there 39 years or longer. That's nearly 10 presidential terms. John Dingell alone has been there since 1955. He first joined when Eisenhower was president, and has been there ever since. Clearly these guys are too rich, too complacent, and too far removed from a normal American life to effectively represent the people of their districts. It's these incumbents who are elected to return every term who keep the practices going that renders this whole branch of government ineffective. Though the Congressional approval rating hovered around 15%, the lowest rating in nearly 40 years, 90 percent of house representatives and 91% of senators who sought re-election won. Why is that? It seems that most voters approve of their own representatives, and feel the problem is the "others". If we continue to vote the same people in time and again, do we really have any right to complain? Is it not our duty as Americans to elect officials to effectively govern? We really have no one to blame but ourselves. And it's clear nobody is going to fix this if we don't. If all incumbents are voted out, there will be no senior members there to perpetuate these ineffective patterns of behavior. Right now, as it stands, newly voted in representatives get pulled into the fold by senior members who want to ensure they'll "play ball" the way it's always been played. At this point the two parties have become so polarized that they can't even work together to find common ground, which is a basic tenant of governing. There is now such an engrained refusal to work with the other side of the aisle that they've completely rendered themselves ineffective. They've elevated ideals above governing and have been just plain childish in their behavior. So, is anyone up for making some history? Show the world what democracy is really all about? Show government officials who's really in charge? It would actually be an easy thing to do and it would mean each of our votes can have the maximum impact to effect real change. We just simply change the players in the game. I'm sure new players will eventually begin to fall into the same behavior patterns, but it'll take some time. Those currently in the pockets of influential players would be removed from the equation. Maybe in the meantime this new batch of representatives might accidentally get something done. Plus there'd be the added incentive of knowing they could be voted out just as easily as they were voted in. We are the bosses determining who the right employees are for the job. This lot has proven that they are not the right group. In any other job, if you or I had performed this poorly in our jobs, we would be fired. And rightly so. It is only right for these incumbents to be fired for failing to do their job. Not rewarded by getting voted in yet again. Are you in favor of an organized movement to vote Incumbent members out? Thanks, Headly von Noggin, I appreciate that. Well, NatureBoy, you've got my support. I hope you can make things happen. There is no "red tape" when the constitution is followed, the red tape is put there to prevent their following the constitution. Whenever the laws are followed there is no red tape, the laws speak for themselves. The real problem everyone wants to keep things "politics as usual" rather than politics per the law of this land. The American people ae so hardened by the lies of schooling and the nation's leaders that WHEN TRUTH PRESENTS ITSELF TO THEM THEY REJECT IT. I remember someone who sounded like a politician picking me up one time and as we began to discuss politics he wanted to know if I intended to do something about what Iws saying and said "isn't it nice to be in a nation where one can voice their opposition to government." WhenI replied "I don't discuss nor complaint unless I intend to do something about it. Suddenly he realized he had to go into the next town and exited the interstate and let me off only to do down the next ramp. This nation is in terrible mentality, it puts tradition above the laws we are told governs us when those laws are walked upon in every conceivable way. That is why George Washington said "let us raise a standard only the wise and honest can repair, the event is in the hands of god," he knew they were not wise nor honest enough to implement the constitution and the nation has become so hardhearted to the constitution's being miss taught that they don't want it to be implemented. But I will still continue my fight as an honest and semi-wise man understanding how this nation slumped into its cesspool of corruption to know the only successful way of getting it out. I respect the path you've chosen. I just see voting out the incumbents as a much more feasible method of discipline. Any other means they know requires thousands of signatures and traversing miles of red tape to make happen. They're basically untouchable except in the voting booth when their term is up. We can elect to fire them and end their tenure, easy as that. That's why I have that link and has sent it to Obama and all of the Senators -- Representatives don't allow the public at large to contact them like Senators -- and included sending them a copy of Article 3.3.1, "Treason against the United States, shall consist only in levying War against them, or in adhering to their Enemies, giving them Aid and Comfort. No Person shall be convicted of Treason unless on the Testimony of two Witnesses to the same overt Act, or on Confession in open Court." The puppeteers controlling their money strings does allow then to respect the Constitution without at least 500,000 signatures. I've put it in the people hands who agree in my circle and the government officials who is supposed to act on it. You are saying that shouldn't be done unless you are willing to add your NAME to the petition. Making the case you're making to exact change would take an effort that the everyday person isn't capable of. You'd have to convince the right people to take the proper actions to then make the case in the right venue. Simply voting against the incumbents is something well within our power. The incumbent is generally notated on the ballot, so you don't even have to know who each incumbent is. And it's something that could be easily repeated. If they're not delivering on functioning as a productive body, then too can be replaced. Right now they're only beholden to the voters in a very superficial way. This way they'd be held more directly accountable, and potentially removed from office after every single term. Read Article 1.2.2 for Representatives, [No Person shall be a Representative who shall not have attained to the Age of twenty five Years, and been seven Years a Citizen of the United States, and who shall not, when elected, be an Inhabitant of that State in which he shall be chosen] and Article 1.3.3 for Senators [No Person shall be a Senator who shall not have attained to the Age of thirty Years, and been nine Years a Citizen of the United States, and who shall not, when elected, be an Inhabitant of that State for which he shall be chosen] and we see they are elected unconstitutionally therefore they can not protect the constitution since Article 6.3 ["The Senators and Representatives before mentioned, and the Members of the several State Legislatures, and all executive and judicial Officers, both of the United States and of the several States, shall be bound by Oath or Affirmation, to support this Constitution; but no religious Test shall ever be required as a Qualification to any Office or public Trust under the United States"] make them our trustees only after they take the oath. By not being so elected they are perjuring themselves which will turn into treason. The laws of this land states "ignorance of the law is no excuse" for Legislators, Administrators, Justices nor anyone breaking it so what it the reason for allowing them to become treasonous before doing something about them? You're right. This was actually written before the most recent election, but I didn't complete it and get it published in time. But I do know that despite having the lowest approval rating in history, 95% of incumbents who sought re-election were re-elected. This may be a new session, but many of the players are the same as those who have failed us in the past. The constitution's Amendment 10, "The powers not delegated to the United States by the Constitution, nor prohibited by it to the States, are reserved to the States respectively, or to the people," suggests when something has a Constitutional reason for being changed, although not actually said, the states first -- which are following the same example -- and them We The People are empowered to do it. My petition shown in my first post is the Constitutional way of doing it. It already has over 170 signatures although Article 3 section 1 say only 2 witnesses are required, so with a few more we can get all the TREASONOUS US government officials out. Though I seek 1 million, it's Treason, so they should have already gotten out but they, I'm supposing, don't feel they must govern constitutionally unless there are a few hundred thousand signatures showing them their error. You will notice I suggested me as the replacement for Obama because I don';t know of anyone alive today who understands the Constitution like I do. I got that in a high school Civics class -- I've never been to College -- so when I began to in honest study the document I remembered those teachings and saw how Ford became president after Nixon and saw it was constitutional and used that example to get them all out Constitutionally. So add your signature and pass it around. I don't know enough people's addresses to get anymore signatures but with a little help we can get them out. Written just a few minutes ago as the recent Texan's comment was, it is hardly appropriate to write that he is "Considering the massive failures of this congress and house...." If those who exercised their right to vote for the new 114th Congress made some changes in November, perhaps their changes should be allowed to perform before we judge them so soon. I agree, but that would be a really difficult thing to make happen. Voting out all incumbents, flushing all the regulars out of the house and the Senate would be incredibly easy to do if enough people made an organized effort. Those on the ballot running against the incumbents are most assuredly conformed to the system as well, being that they're actually on the ballot, but they won't have engrained in them the practices that have rendered our current Congress and House so impotent. Considering the massive failures of this congress and house, and the fact that their approval rating is lower than just about any other body in its history, they need to be ejected as quickly as possible. This is the quickest way in my mind. But since the new faces are not elected Constitutionally we need to eliminate them also and "Politically Draft" a whole new congress. Exactly right. New faces is what we need. Out with the old guard, in with the new. Those who have been there for decades are too set in their ways. The only way to fix the problem is for we the people to clean house. About the same time you wrote this Hub, I wrote about the reindeer in Congress and the Santa in the White House. Both Hubs are written after the 2014 elections, and now we can see what some "new faces" (and minds?) can do to get Prancer moving forward. 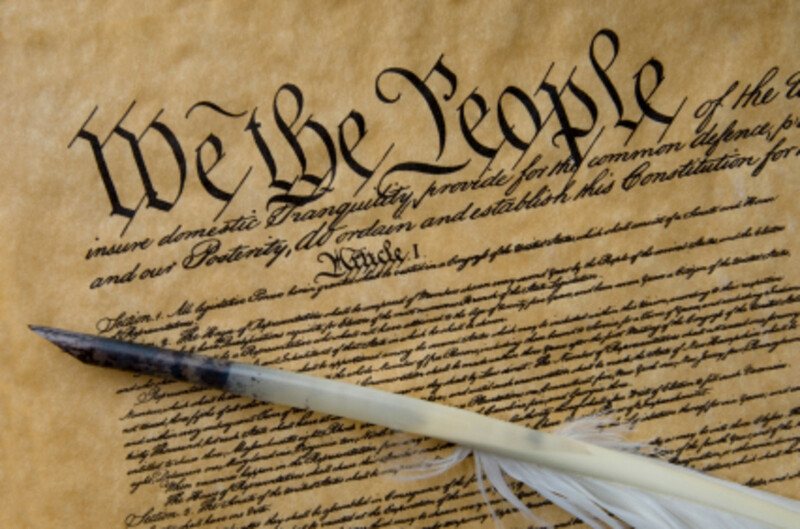 I completely agree that We The People has the Constitution backing us in firing everyone elected in government, president and congress, for the following reasons. 1) The President takes an oath to "Protect the Constitution per Article 2, section 1 paragraph 8, Congress and Judicial personal takes one to support the Constitution in article 6, paragraph 3 but they never put their laws to a Constitutional test by ensuring every law represent one of the 6 conditions mentioned in the preamble. 2) No Representative (Article 1.2.2) nor Senator (Article 1.3.3) is allowed to choose to run for office, they are to be "Politically Drafted" [chosen by people elected "Electors" per Amendment 24] and elected by the people of a state they are not citizens of [because they are to represent all people of the United States of America and not their state's interest] and President and Vice candidates (Amendment 12 & 24) are chosen by "Electors" elected in the Primary by the people of a specific state, one each elected and certified to Congress for a recounting who then notifies the entire nation who the possible 50 [51 including DC] candidates are for November's General election where, if there is a tie of 3 or less, congress breaks the tie but, I'm supposing, if 4 or more another general election takes place to break it. 3) Because of their taking of the oaths they are not fulfilling they commits "perjury" which turns into "treason" because the laws are not constitutional and Article 6.2 states "This Constitution, and the Laws of the United States which shall be made in Pursuance thereof; and all Treaties made, or which shall be made, under the Authority of the United States, shall be the supreme Law of the Land; and the Judges in every State shall be bound thereby, any Thing in the Constitution or Laws of any State to the Contrary notwithstanding" but the laws they make DO NOT achieve the Preamble's intent. 4) By the reading of the first condition intended to be established b y the Preamble, "in Order to form a more perfect Union," there can bet no parties, classes, major differences in pay, nor ethnic, religion, gender nor sexual orientation profiling. By the third reason, almost every law established by this nation has to be reexamined and made to fulfill at least one of the preamble's conditions. Because All officials of this nation are committing "treason I have http://www.change.org/petitions/eliminate-capitali... which has been online since 2010 which has obtained over 17 signatures but no one in government has dec died to do anything about it although Article 3.1 only require 2 witnesses for a conviction.